Many homes today are not traditional or modern. These “Transitional” homes often reflect a casual, comfortable lifestyle in both the architecture and interior design. 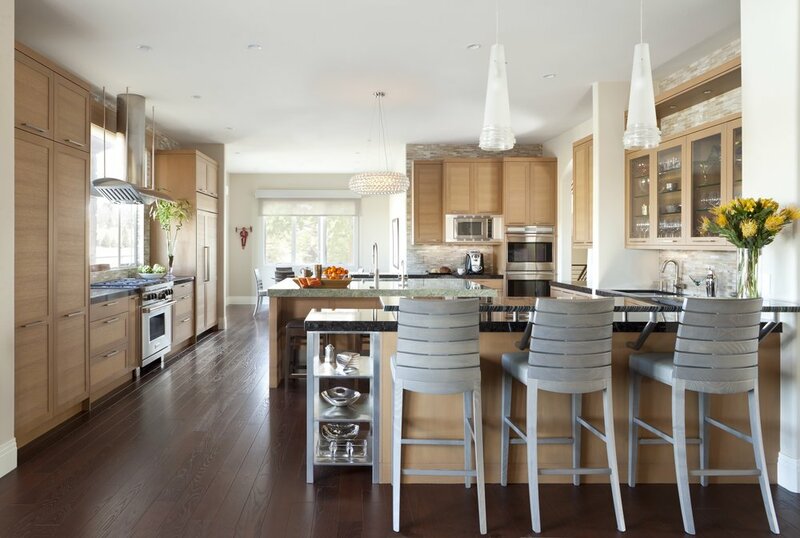 Beautiful and timeless, there are many design possibilities for a transitional home. Many of these combine simple but pure materials such as wood, stone, metal, and glass. Again, attention to appliances is a must, along with countertop, backsplash, and flooring designs and materials. 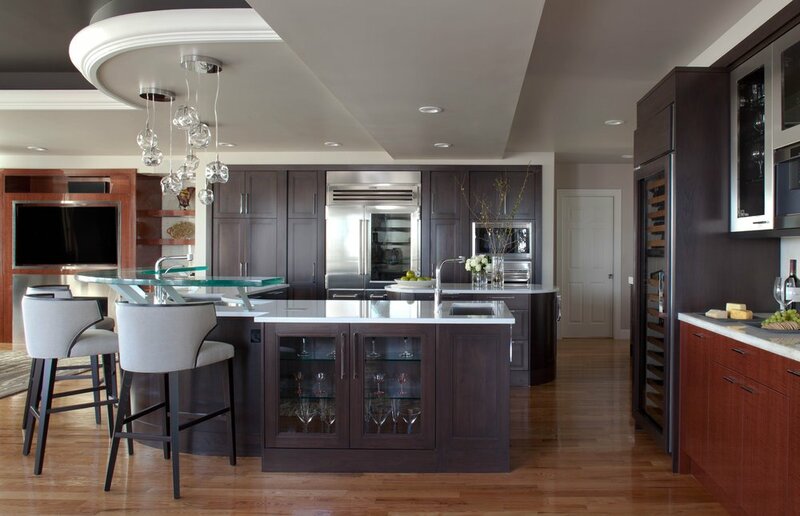 We can help you design a stunning transitional kitchen, bar, home theatre, master bath, or closet.